The Office of Fair Trading wants to know whether Facebook plans to use Instagram to restrict other photo sharing services, before it approves the deal. The government's competition regulator has asked both companies for comment in the next two weeks, amid worries that the $1 billion deal may result in a lockout for rival services like PicPlz and Camera+. Both sides will asked to submit their assurances to the OFT by July 5, with a verdict expected by August 23. If the commission cannot establish the possibility of negative effects then it will approve the deal, but otherwise it will be referred to the UK's Competition Commission. 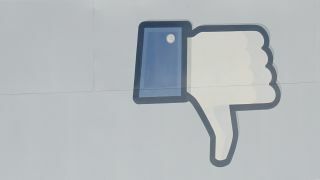 The investigation by the OFT follows a similar probe in the United States by the FTC, which may pose a larger problem for Facebook's ambitions. Facebook announced the deal in April this year and plans to integrate Instagram's technology and know-how, while keeping the popular iPhone and Android app as a standalone entity. Facebook agreed to pay a whopping $1 billion for the filter-friendly, retro-snapping start-up in cash and shares in one of the biggest tech buyouts of the year so far.